Coral reefs are one of our most precious resources, but their mere existence is being directly threatened by things like pollution, human interference and global warming. Our planet’s greatest treasures are not only spellbindingly beautiful but necessary for our survival as humans. Conservationists and scientists have dedicated themselves to the cause of saving the corals, but unfortunately, many of the great coral reefs still face extinction. Below are seven coral reefs facing the greatest risks. Experience them (responsibly) before they disappear completely. The coral reefs around Thailand, Malaysia, Vietnam, Taiwan, the Philippines and Indonesia are the most threatened reefs in the world according to World Resources Institute. WRI also reports that 95% of the reefs are endangered due to local threats like overfishing, destructive fishing, coastal development and pollution. Of this 95%, roughly half is in the “very high risk” category. These statistics are heartbreaking not only because of the implications they have on our planet and survival as a whole, but because these reefs are among the most colorful, diverse and easily accessible in the world. Off the exotic east coast of Africa in the Indian Ocean lies a beautiful archipelago overshadowed by a tragic tale of destruction. The Seychelles is a 115-island chain famed for its beaches, nature reserves, coral reefs and rare animals. But tragedy struck in 1998 when 90% of the reefs surrounding the islands were lost due to coral bleaching, a catastrophic event that occurs when water temperatures warm too much and the corals expel the algae living in their tissue, causing the coral to starve. Conservationists are not letting the Seychelles reefs go without a fight. A number of coral reef restoration projects have launched in order to protect the islands’ precious underwater world. Can you believe that the largest coral reef in the world — the largest living system on earth — is in danger of disappearing? Stretching for 1,429 miles and consuming an area of roughly 133,000 square miles, the Great Barrier Reef is so big, it can even be seen from space. 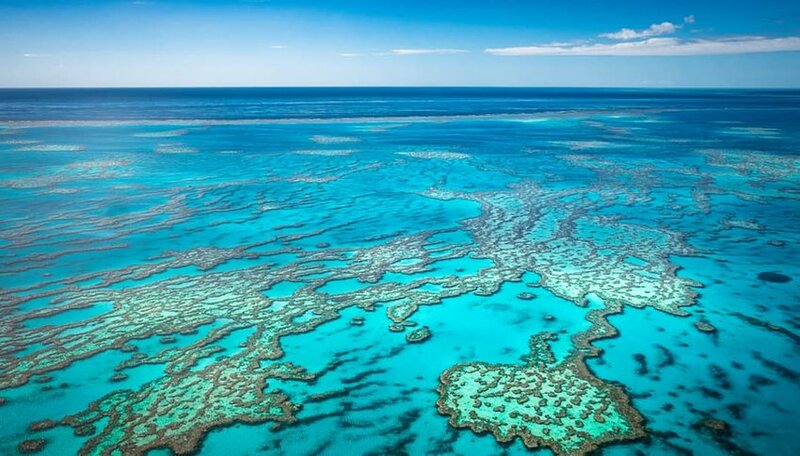 Sadly, roughly half of this protected marine system off the coast of Queensland was lost in just the last twenty-seven years due to things like coral bleaching and ocean acidification. And scientists project that if we don’t do our part to combat pollution and global warming, the entire reef could be dead by 2050. 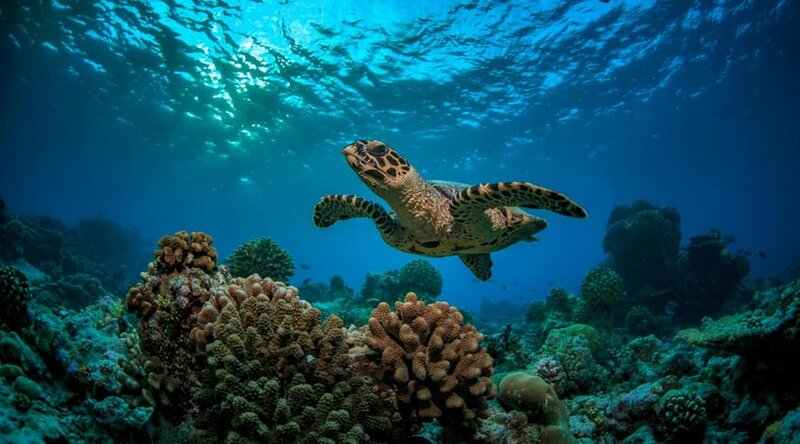 Not only should this inspire you to be more environmentally aware, but it should also encourage you to visit Australia for the chance to scuba dive with ancient turtles, reef fish and 134 species of sharks and rays, and 400 different types of coral — before it’s too late. 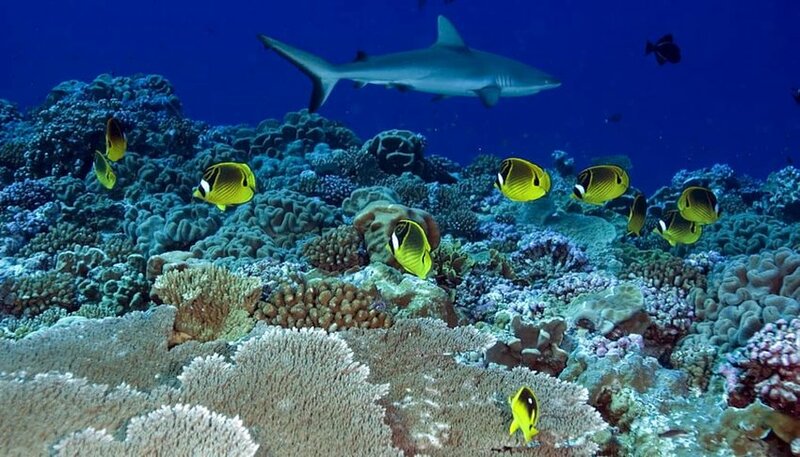 Located about halfway between the Hawaiian Islands and American Samoa in the central Pacific Ocean, Kingman Reef is not a household name like the Great Barrier Reef. But it is a critical component of our underwater environment as it supports endangered marine life, like the Giant Clams. Deep underwater exploration has uncovered that Kingman Reef is home to some of the oldest deep-water corals on the planet. This coral, in turn, provides a thriving environment for hundreds of different fish species. Kingman Reef is one of the U.S.’s most pristine and, although remote, is threatened by illegal fishing, pollution and invasive marine species destroying the natural ecology. This reef isn’t open to the public, but the abundance of sharks and other marine life may inspire you to seek out a spot on a scientific research team! The Caribbean Sea is known for its sprinkling of tropical islands with long sandy beaches, year-round warm weather and some of the best scuba diving and snorkeling in North America. In fact, it's the coral reefs surrounding these islands that draw the vast majority of tourists in the first place. The irony is that it’s also the tourism industry that’s proving detrimental to the same corals. 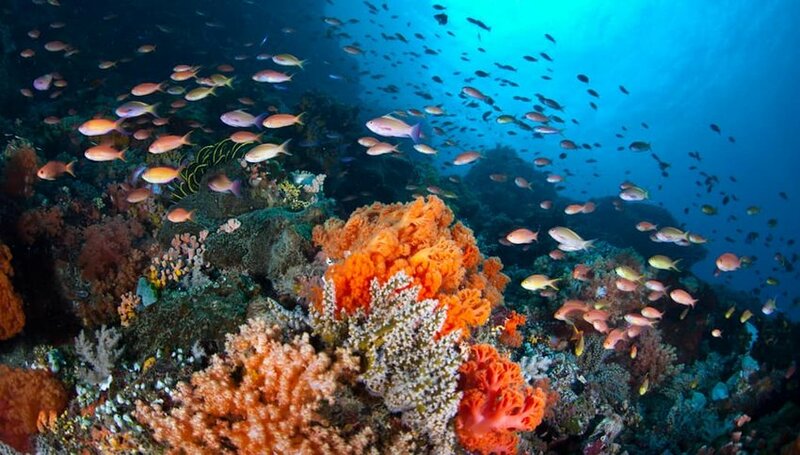 The World Resources Institute states that two-thirds of Caribbean Reefs are threatened due to human activity. Coastal development, pollution, coral bleaching and overfishing are all to blame, but tourists are also playing a part in the Caribbean reefs’ downfall. WRI found that 15% of the Caribbean Reefs are threatened by the discharge of wastewater from cruise ships, yachts and tankers. How can you explore the glorious Caribbean without being part of the problem? Seek out eco-friendly dive centers like Buddy Dive Resort on Bonaire or Don Foster’s on Grand Cayman. 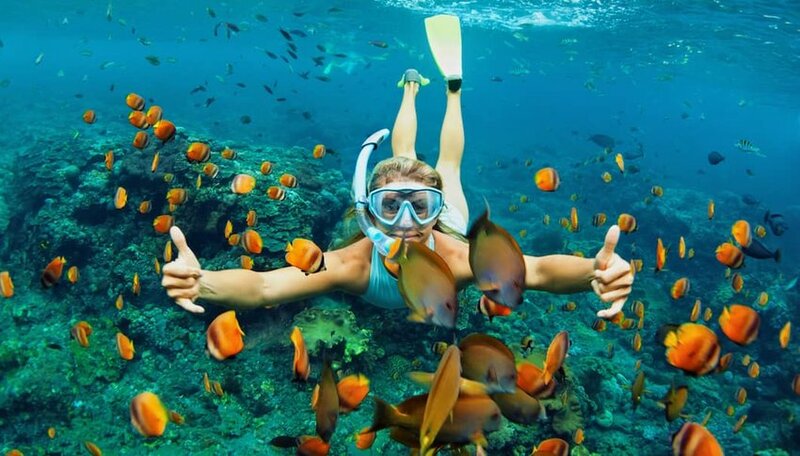 As the scuba diving capital of the U.S., Florida attracts water-lovers from all over the nation. 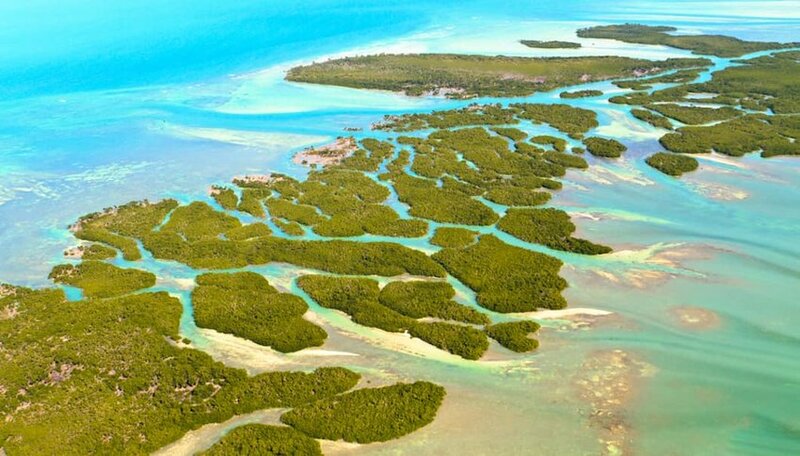 Running down the coast of Florida all the along the Florida Keys, the Southeast Florida Reef system is a big draw for Americans who seek warm waters and tropical fish species. Regrettably, it seems as though the third largest coral reef system in the world won’t be around forever. Between 1996-2000, nearly 40% of the Florida Keys National Marine Sanctuary corals were lost. Contributing to the reef’s destruction are issues like coral bleaching, human interference, high ocean temperatures and severe weather. Many conservation efforts have been made, but the threat of destruction still remains — so much so that once-common species like elkhorn and staghorn coral were listed as endangered in 2006. If you want to help preserve the biggest coral reef in the U.S., volunteer and get involved in one of the many restoration and conservation programs in Florida. 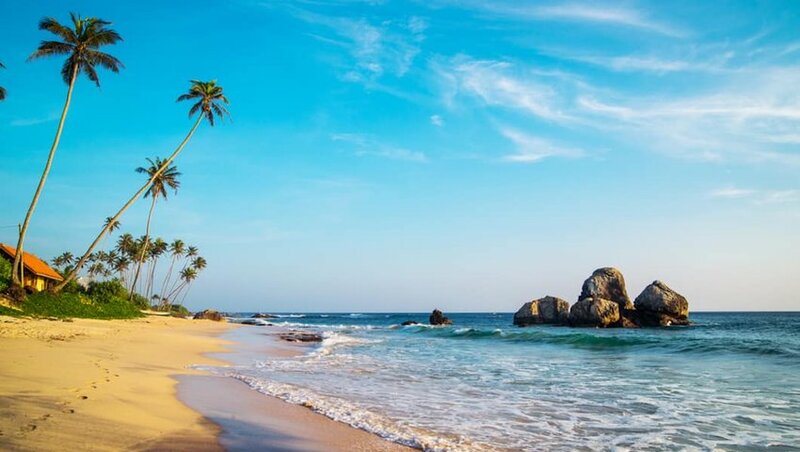 The southern Sri Lankan resort town of Hikkaduwa has grown into a busy fishing port and tourist attraction over the decades. The fishing industry booms and streams of tourists mount glass-bottomed boats to glimpse the beautiful shallow coral mere feet below. Fast-forward to the year 2000, and a study showed that the live coral cover at 3 meters depth was a mere 7% in the Hikkaduwa Marine Sanctuary. The devastation is mainly attributed to the fleet of the mostly unregulated tourist-toting boats that touch and injure the corals. However, coral mining is also a major problem all along the southwest coast of Sri Lanka. What can you do to help? Instead of joining a boat tour (as tempting as a glass-bottomed cruise may be), responsibly snorkel or scuba dive the reefs with a reputable company.